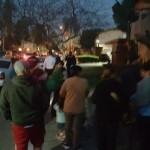 After their Flashlight Walk on March 2, residents of the Alameda-Brownwood-Catalina (ABC) community, located in West Anaheim, told OC Human Relations community organizer, Norma Lopez, how happy they were that the walk had been organized and how important it was for other residents to see a crowd of their neighbors walk through the streets at night without fear. 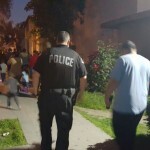 In the last month, the ABC community has suffered a series of violent incidents that has permeated a sense of fear and frustration among the residents in the area. 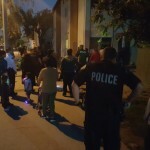 The fear of children being in the line of fire due to gang quarrels has mobilized residents to light up their community to promote peace and safety. 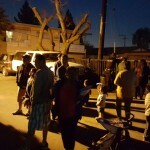 The Grupo de Padres en Acción (Parents in Action Group), formed by residents from the ABC neighborhood who have launched a Community Building Initiative funded by the St. Joseph Health Community Partnership Fund, promoted and participated in a Flashlight Walk. 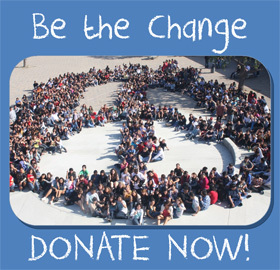 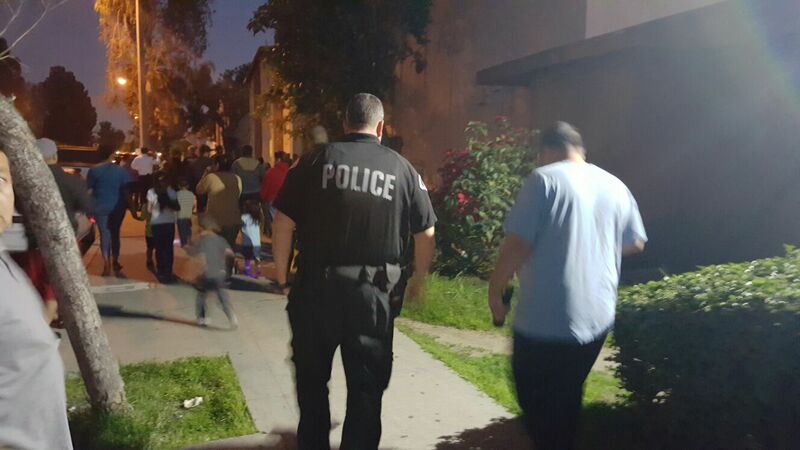 The walk took place on March 2, 2016 at 6 PM and was organized by the Anaheim Police Department and City of Anaheim. 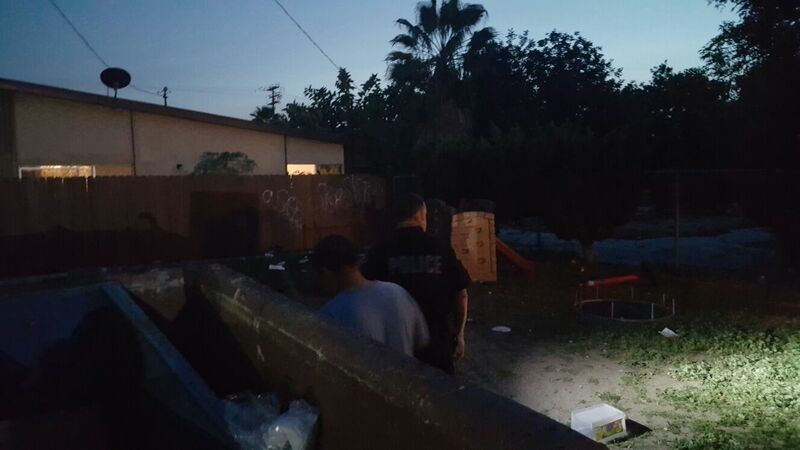 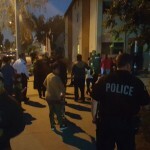 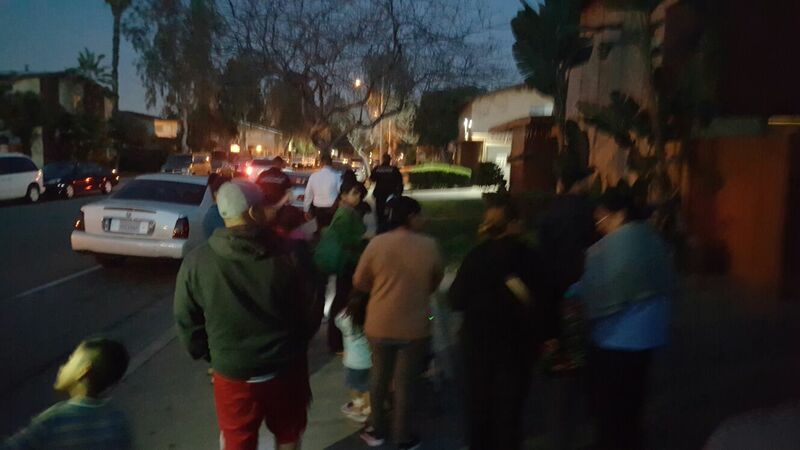 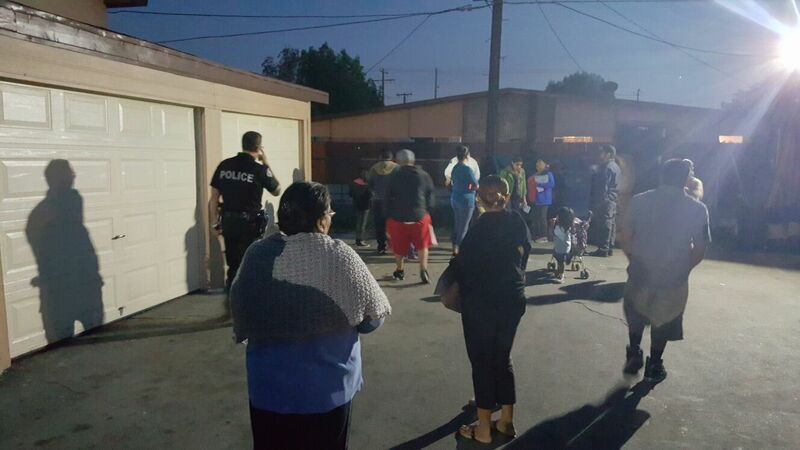 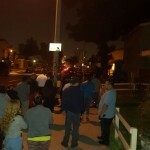 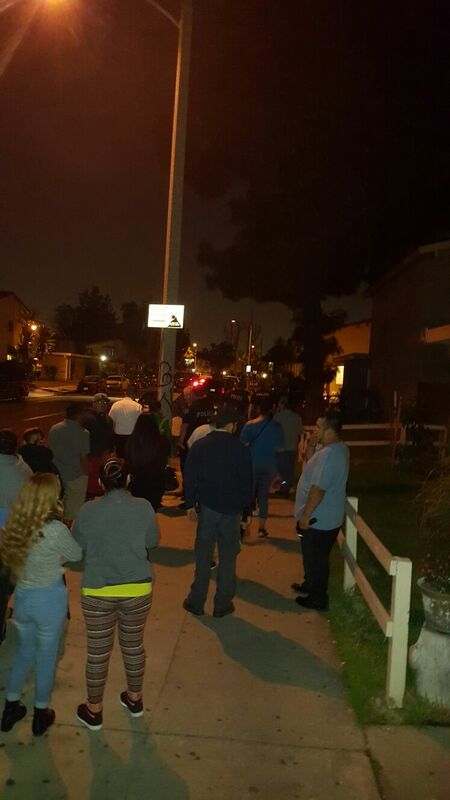 Approximately 40 residents came out with their flashlights joined by four Anaheim Police Department officers, two City of Anaheim representatives, and the Community Building Initiative (CBI) lead from OC Human Relations. 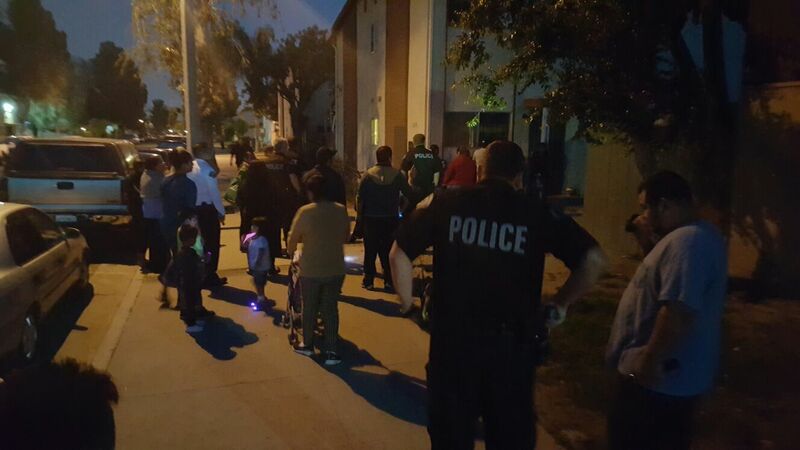 The walk focused on identifying outdoor areas in the community that need attention, service, and monitoring. 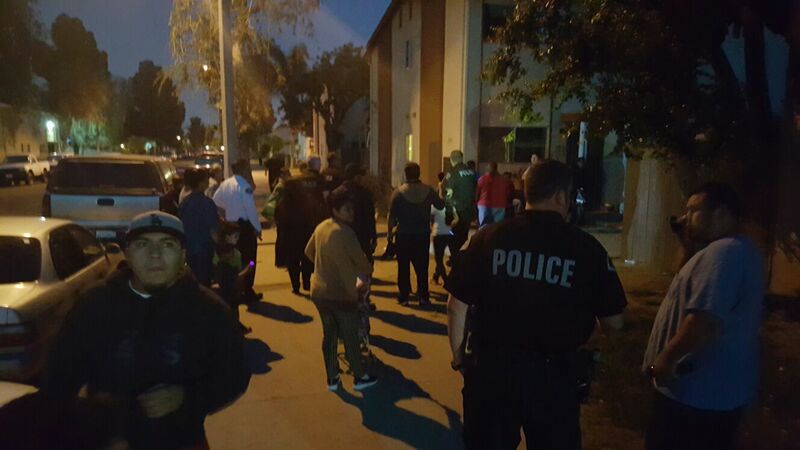 The walk through included one street, carports, walkways, and communal spaces in the apartment complexes. 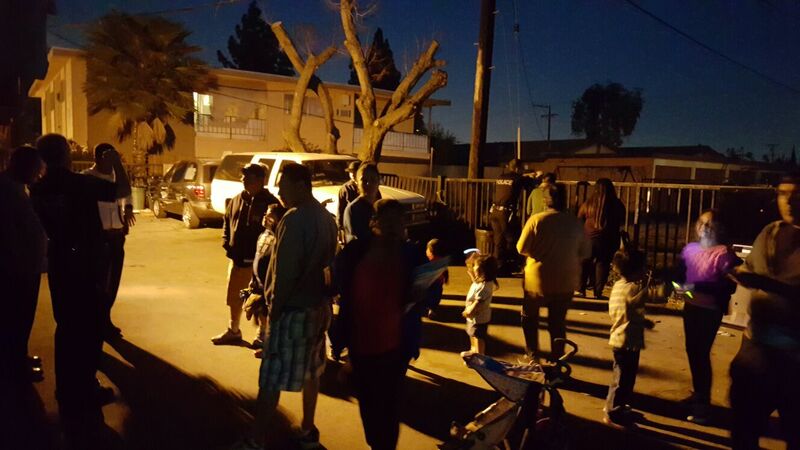 Congratulations to ABC residents for the amazing turnout. 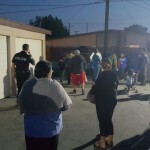 A great big thank you to the Anaheim Police Department and the City of Anaheim for walking alongside residents to talk about ways to bring positive change and more light to this neighborhood.